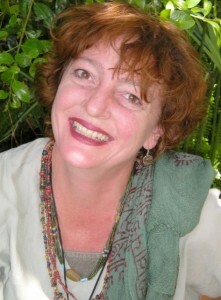 Melanie practises in Somerset West and offers all the modalities in English and Afrikaans. Balancing my time as internal communication manager for a multi-national company with a passion for wellness and natural body-mind solutions, I began my formal studies in integrated and holistic bodywork in 1999. This led to practitioner qualifications in Sole-Reiki, (energy reflexology), Rebalancing bodywork as well as Neuro-Linguistic Programming (NLP). I subsequently completed certification as NLP Practitioner, Master Practitioner and NLP Coach and also qualified as a certified practitioner of Ericksonian hypnotherapy and Energy Re-sourcing TM. In 2008 I bade the corporate world farewell to focus fully on my clients. The Neuro part of NLP refers to our neurological system and the way we use our five senses to translate our experience into thought processes – both conscious and unconscious. It highlights the way in which everything is part of the same whole – literally, as we speak, so we feel and we act. Linguistic refers to how we both create and reveal to ourselves and others our unique model of the world, the way we think about it, and the way in which we experience it. Programming refers to the specific steps we go through to achieve the effects we get. In NLP we work from the premise that we are all much more than we think we are. Using NLP methodologies, the practitioner can help the client to discover his or her unexplored – or merely forgotten – resources. NLP is offered in both English and Afrikaans. Coaching helps you to identify self-limiting beliefs or practices and behavioural patterns that do not serve you any more. Over a period of 6 to 10 sessions, you and the coach work together to change and re pattern these and focus clearly on your desired outcome. Life-balance coaching uses the principles of NLP, including Quantum Physics, to help the client find untapped inner resources to create balance in their lives. People whose lives feel unfocused, who are experiencing mental or emotional blocks or are hampered by recurring self-limiting behavioural patterns. Coaching has been successful with non-dietary related weight-loss. Rebalancing bodywork is a deep tissue massage. Using slow sweeping movements, the fascia is palpated allowing chronic muscular holding patterns to free up, creating an appropriate balance from front to back, between the two sides, and the top and bottom halves of the body. Once balanced, the body is capable of allowing the free flow of feeling and energy, creating a balanced state. This is a gentle, hands-on procedure designed to balance the energy centres in the body. The experience is highly relaxing. The client remains fully clothed while the practitioner uses light touch on the back and feet to rebalance the energy centres. Combined with energy reflexology, this is a powerful modality to release energy flow and re-energise the client. Energy balancing can benefit people of all ages and is very successful with animals. Sole-Reiki Energy reflexology, or Sole-Reiki, blends two powerful healing tools: foot reflex therapy and reiki. What is TRE (Tension and Trauma Releasing Exercises)? Devised by Dr David Berceli, TRE, through specific exercises, initiates the body’s natural tremoring mechanism in response to stress and trauma. TRE is safe, easy to do, does not involve talking about the trauma and restores Autonomic Nervous System to balance within three months. Our bodily response to stress is to fight, flee, or freeze. When we experience trauma, or unrelenting daily stressors, our sympathetic nervous system takes on the task of protecting us from danger and our limbic, or primitive brain, is triggered to do its job. TRE is designed to reintroduce our natural healing mechanisms so we can release accumulated tension. The 6-week facilitated programme will equip you with the tools to continue with your practice at home. TRE is organic, easy and safe to use with families, the elderly and children. Anyone from the age of five to the elderly who have experienced trauma and those who experience daily stress. TRE facilitates the release of both physical and emotional trauma. Acute physical and emotional trauma, chronic tension and accumulated daily stress. Life-coaching, counselling, bodywork such as chiropractic, massage and acupuncture, BodyTalk and ozone therapy. All movement therapies such as Nia, yoga, tai-chi and qi-gong. Although no research has proven any contra-indications, you are advised not to do TRE if pregnant, have deep open wounds or have had recent surgery. Allow physical wounds to heal before signing up. First session (1,5 hours): The principles behind TRE are explained, your presenting issues are discussed and the exercises are demonstrated before you experience the neurogenic tremoring process. Sessions 2 – 6 (1 hour): Client checks in before the session starts followed by a debrief. Depending on the readiness of the client, he/she will be able to practise TRE at home in between facilitated sessions. After the client has experienced TRE for the first time, the additional five weekly sessions are scheduled. or fill in the form below and I will be in touch shortly.